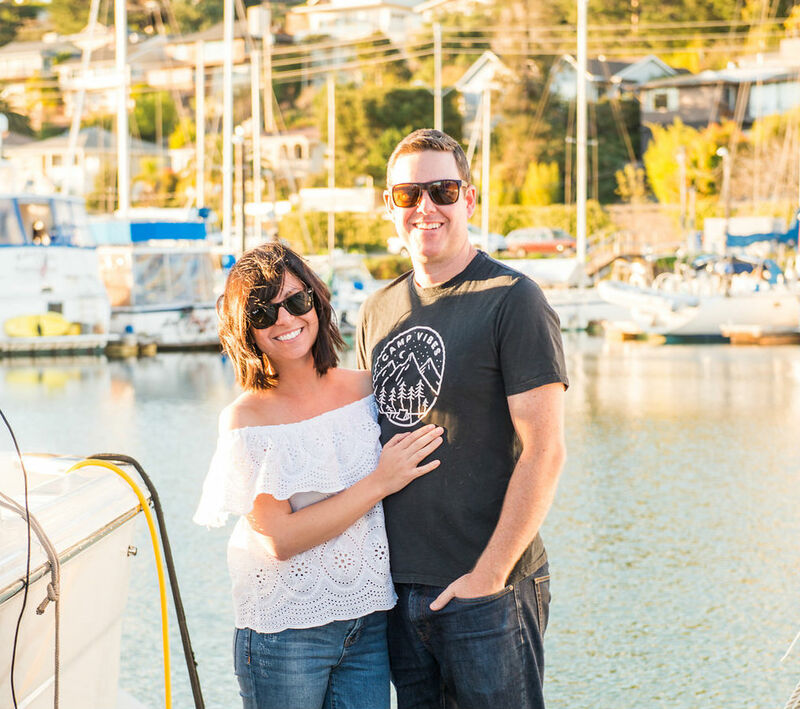 When my husband and I bought our boat, we decided to hire a captain to show us the ropes. We’d both spent a decent amount of time on the water, but neither of us had ever been the one in charge. So, bringing in an expert to teach us a thing or two seemed like the smart, safe thing to do—both for our future guests and us. It was a wise investment. I’ll never forget the sobering moment when our instructor said, “Remember, if something goes wrong out there, you’re the rescuers, the paramedics, and the firefighters on board. It’s up to you to keep everyone safe until more help arrives.” No pressure. It was that lesson that inspired the safety talk that we always give our guests before getting underway. Boating is such a fun (I’d actually argue it’s the most fun) way to spend an afternoon. But, it can, of course, be dangerous. So, we try to take every possible precaution to keep our guests safe. Here’s what we tell every person who comes aboard. We always start by telling our guests that having fun is the No. 1 rule on board. It’s a corny joke, but it helps to break the ice and makes giving a safety talk to your friends and family feel less formal. Plus, we aren’t messing around—we really want everyone to have a great time! If your guests remember nothing else about your safety talk, make sure they know where the life jackets and fire extinguishers are stowed. Reassure them that you have enough personal flotation devices for everyone on board, perform a quick demonstration of how they work (channel your inner flight attendant if you need a little inspiration), and do a quick refresher on how to use a fire extinguisher. If the sea gods decide to give you any trouble, you’ll be glad that your passengers know where to find life-saving safety equipment. While you’re at it, remember to point out where the life ring, boat hook, flares, air horn, etc. are located, too! Boat toilets can be complicated. And woefully sensitive (usually at the most inopportune moments). So, while it might not be a pressing safety issue, we always give our guests a crash course in how to use the head. We’re also sure to emphasize that the toilets are sensitive, so if something goes wrong, there’s no need to be embarrassed. We keep a strong plunger on board for a reason! There are myriad reasons why you don’t want trash flying overboard—purposefully or by accident. So, make sure your guests know where they can stow their trash and recycling while on board. We like to designate a bag for each and do our best to collect garbage as we go. Should the Coast Guard ever decide to board your vessel, they might ask about your waste management plan. So, write it down somewhere, too! This one’s no fun. But it happens. Tell your guests to give you a heads-up if they’re starting to feel a little queasy, and to avoid going below deck when nausea sets in (that’ll only make it worse). And, if they need to get sick, it’s OK to do it over the side of the boat. Better than inside, right? Getting your sea legs under you takes time, and even the more seasoned sailors can lose their balance while on board. So, be sure to remind your guests to pay attention to their surroundings as they move around. And if you’re on a sailboat, give everyone a heads-up (no pun intended) about the boom. Getting smacked in the head by that thing is no fun. If you have a larger boat, suggest that your guests hold onto the railing and ask a buddy to keep an eye on them as they move around. If they were to fall overboard, you want to be sure someone will notice. Don’t take your eyes off the person in the water. Call out to the captain to let them know what’s going on. Reassure your guests that you have a procedure in place for retrieving their floating friend and give them a heads-up that if that happens—you might ask them to grab a life ring, a boat hook, or some blankets. Every boat owner will have a different procedure for retrieving a guest that’s gone overboard, depending on the size and layout of their vessel. The key is to let your passengers know what to expect if they fall into the water. We’re always sure to tell everyone that we’ll turn the boat around, head back in their direction, and cut the propeller once we’re close enough to grab them. The safety talk takes only a few minutes, and it’s time well-spent. We’ve found that not only do we feel more comfortable getting underway but so do our guests. And once you get the serious stuff out of the way, you can get out there and have some fun! Which is what everyone’s there to do, anyway.